Two new dates in Russia – all 2014 European tour tickets on sale now! All the tickets for the European tour 2014 are now on sale. 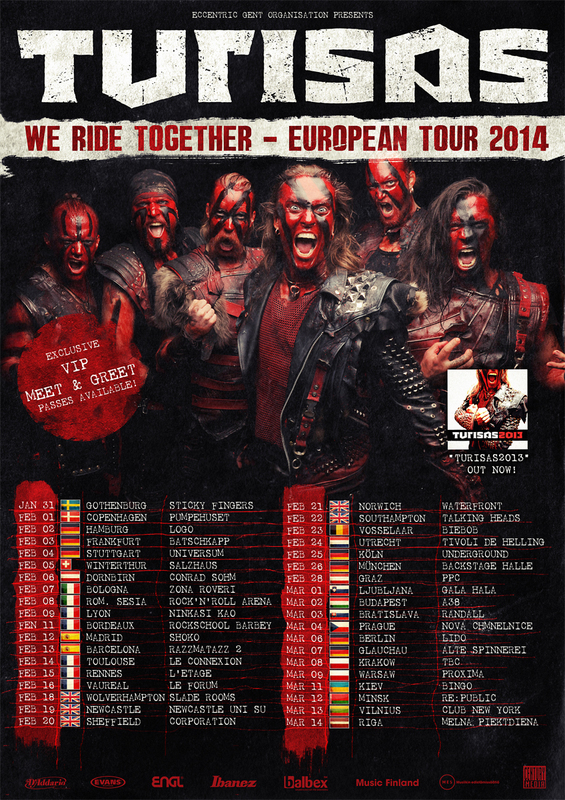 Check out the dates on BandsInTown & Turisas.com tour schedule. Don’t forget the VIP meet & greet chance! Get your exclusive package from our webshop at Shopify and meet the band before the gig. After just wrapping up the Heidenfest 2013 and a successful headlining tour throughout the UK, the Finnish Battle Metal warriors are announcing their next extensive headlining run. 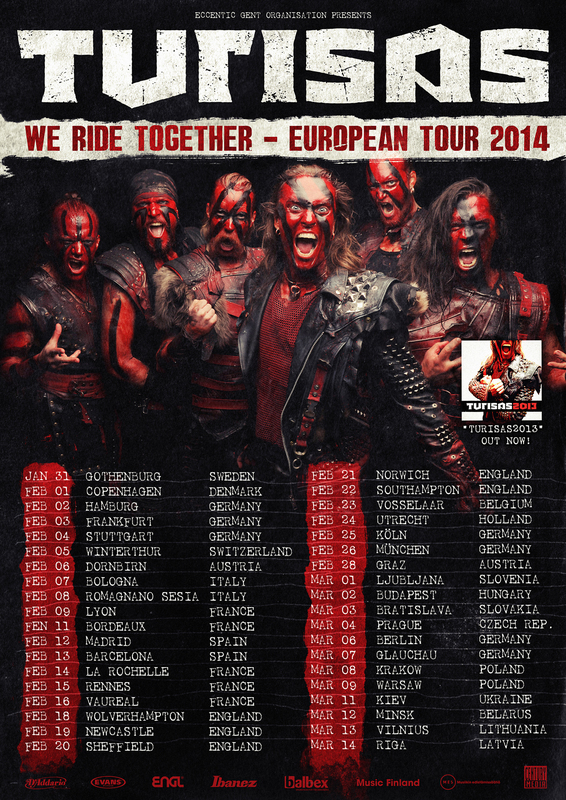 It will take TURISAS from East to West, North to South on the European mainland and UK on the “We Ride Together European Tour 2014”. See all the dates below. Tickets for all the dates will go on sale on Monday 11 November along with special VIP meet & greet packages.